We have sections of good old-fashioned Concord grapes and some other areas of “Concord-wannabe’s” - similar in looks and flavor, but not quite the same. 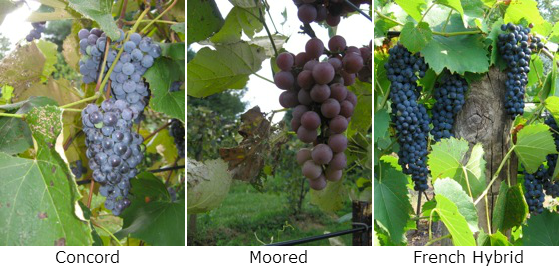 We have a row or so each of the early ripening Fredonia (similar to a Concord, but with a thicker skin) and Moored (rosy pink and very sweet). There is a small section of French Hybrid vines as well. 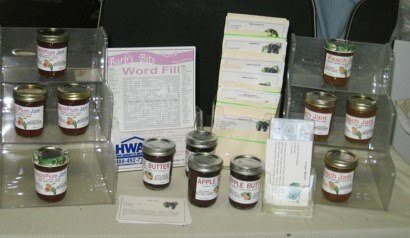 In addition to the fresh fruit, “Homemade from Homegrown” jars of deliciousness are available. Look over our selection of jellies, jams, and fruit butters.